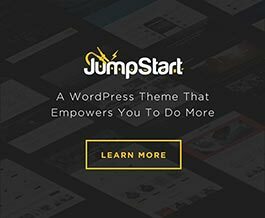 By default, the theme will take your website’s primary logo, shrink it down and use it in the sticky menu. But of course, this may not work for you, if your logo doesn’t look good, being displayed so small. So, in this case you can utilize the themeblvd_sticky_logo_uri filter to add in a URL of an alternate logo image, to be used in the sticky menu. In the following example, we’re putting a logo image file called sticky-logo.png in our child theme at /assets/images/.